Of all the places in the world you could choose from to visit, Paris has a special charm. The romantic atmosphere and classy style of the city set it apart from other locations, making it a popular destination for couples, but perfect for families and solo travelers as well. The rich culture of Paris ensures that each moment of your trip will include something new and interesting; whether you’re enjoying a local pastry at a quaint café or exploring the spectacular galleries of the Louvre, Paris is a place of everlasting memories. 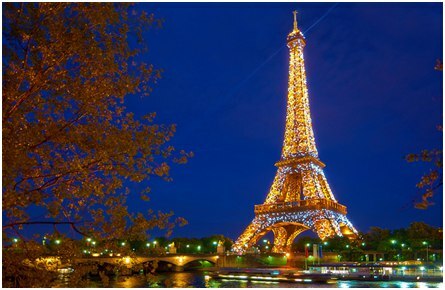 Most trips to Paris begin with a tour of the Eiffel Tower. This iconic landmark of the city was constructed in 1889, and since then has only grown in fame and popularity. You’ll have the option to either go for an elevator ride or take the strenuous trek up the long flight of stairs to reach the various observation points. Every traveler and photographer in Paris will enjoy the view out over the city and the amazing architectural design of the tower. Art lovers will find an unending list of places to visit in Paris. From small galleries to large museums, Paris is a city that takes creativity seriously. 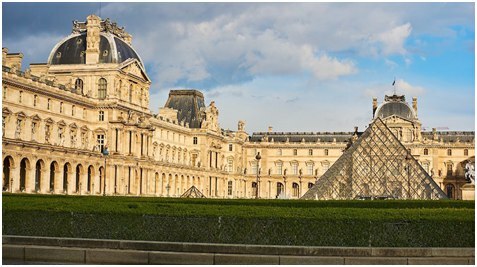 The best-known museums include the Musée d’Orsay and of course the famous Louvre. Both museums contain world-class art exhibitions and welcome visitors from around the world. Don’t miss the opportunity to view masterpieces by artists such as Degas, Van Gogh, Renoir, and Monet. 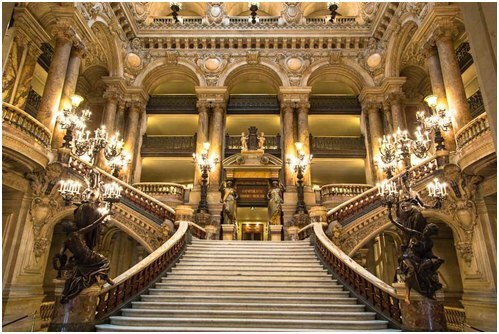 Continuing with the theme of art, there is also the grand Paris Opera House, which still hosts opera, ballet, and other performances. For a true opera experience you can get tickets to a show, or just come to the building for a tour to see the amazing crystal chandelier, the majestic staircase, and elegantly decorated balconies. It’s a good spot to include in your trip itinerary; the stunning architecture combined with the historic significance of the opera house make it a top photo site in Paris. Besides the Eifell Tower, Paris is full of other notable landmarks that make for excellent tourist sites and photo opportunities. The famous Arc de Triomphe is a stunning structure, dedicated to soldiers from the Napoleonic Wars, and is a great place to visit on a photography vacation in Paris. Spectacular from a distance, you can also go to the viewing platform on the very top of the monument where it is possible to see to other landmarks of Paris including the Louvre and the Eiffel Tower. Not only does Paris have great cultural and historic places to visit, but the scenery of the city is stunning. With the Seine River running through the city, you can enjoy a picturesque setting during your trip. 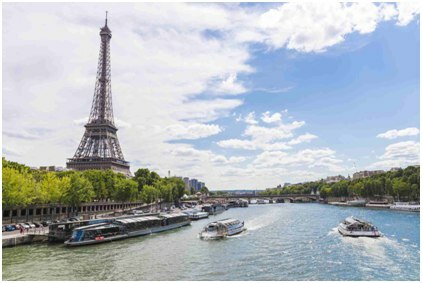 To truly appreciate the beauty of Paris, take a river cruise along the Seine where you can see various landmarks from the water. It’s an amazing photo opportunity, and a great way to see Paris from a new perspective. When you’re planning a vacation to Paris, you might want to consider book a photographer from Localgrapher to make sure the best parts of your vacation are caught on camera. You certainly won’t want to forget a single moment of this amazing adventure, and with a private photographer at your side your vacation pictures with capture both the scenery and the special atmosphere of the city.